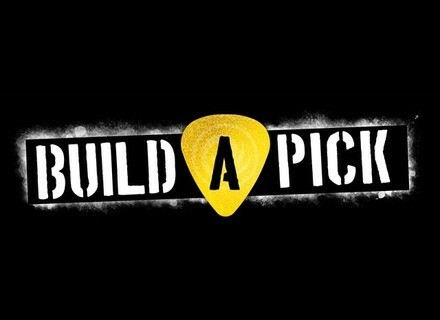 Build A Pick, Guitar Pick/Plectrum from D'Addario. Artists and retailers can log in and view the online custom pick shop. There, they can use the interface for creating, previewing images, adding text, customizing fonts, color, and image positioning. Users can also select four-color high resolution digital graphics and photos to be printed on the celluloid picks. Picks are available in medium, heavy and extra-heavy and are packaged as 10-packs in Planet Waves’ signature “daisy” format. Artists can create up to four different pick facings for each collection. The minimum required quantity is 100 10-packs per order. The special packaging makes the picks suitable for re-sale with UPC, item number and description printed on the label. Artists and retailers should allow three weeks for delivery after ordering their custom-made picks. [NAMM] New D'Addario Strings D’Addario is introducing new additions to two of its lines. [NAMM] Jackson Ampworks NewCastle The NewCastle amplifier is the latest guitar amp announced by Jackson Ampworks. [NAMM] Jackson Ampworks Atlantic 4.0 Jackson Ampworks announces the release of the Atlantic 4.0.